Cardinalis cardinalis (Northern Cardinal) ♂. Size: approx. 200 mm. Photo: 01/02/18, 4 pm. 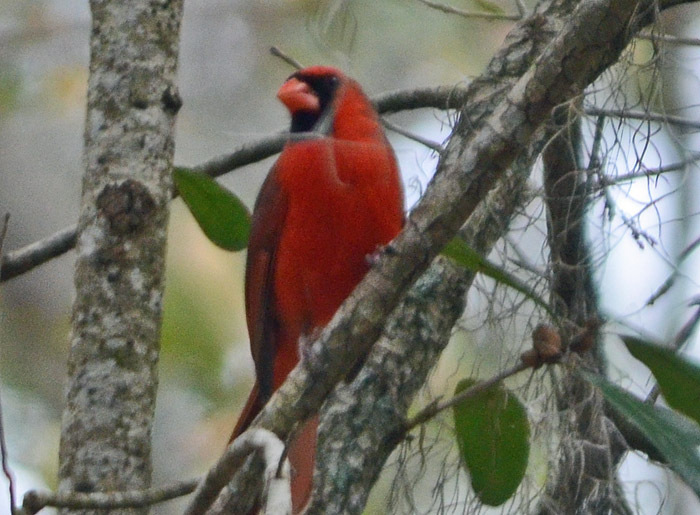 This striking little neighbor is the Cardinal. 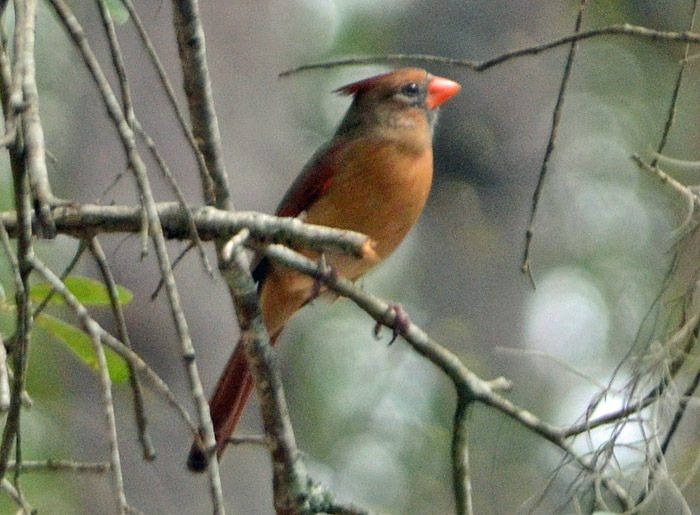 During courtship, the male feeds the female. Wikipedia states that this bird was once prized as a prized pet species but its sale as a cage bird has been banned for nearly 100 years. 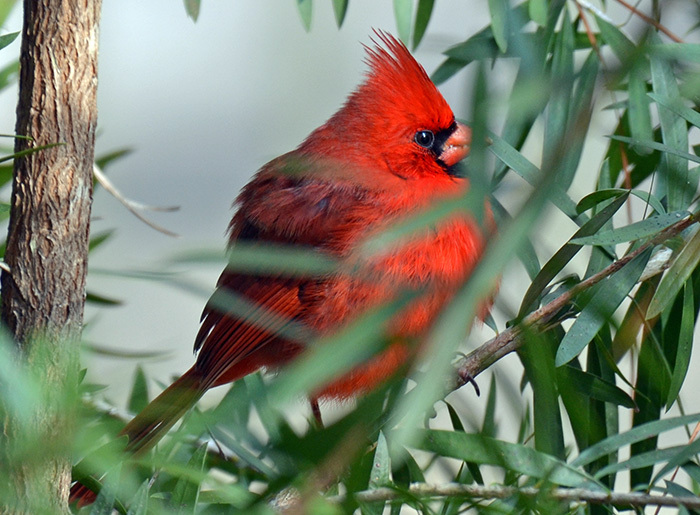 Cardinals are extremely territorial and can relentlessly attack their mirror images in windows.